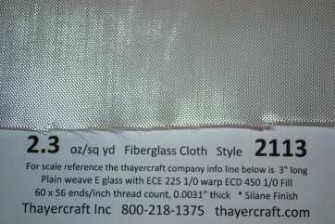 Style 2113 is a 2.3 oz/sq yd plain weave E-glass fiberglass fabric with a pretty high thread count of 60x56 ends/inch. 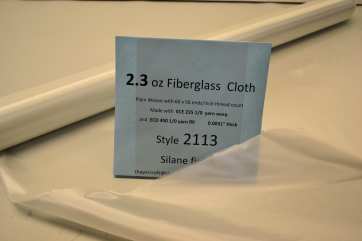 Style 2113 is finished in a silane for epoxy resins. You have a big variety of widths and yards to pick from here with Free shipping. All cloth is rolled on 2" foam core pvc and carefully packed.